Millions of dollars in subsidies for a Nova Scotia tidal project is just one of the coming announcements as Ottawa boosts riskier forms of renewable energy, says the federal natural resources minister. Tidal is one of the early investments coming out of the federal Liberals' $200-million emerging renewable power program, which finished collecting requests for proposals this spring and expects to select four to six investments by the spring of 2019. Meanwhile, the tidal announcement on the East Coast will be watched closely to see if it can overcome the challenges faced in harnessing the bay's powerful tides — which have already damaged early test turbines. 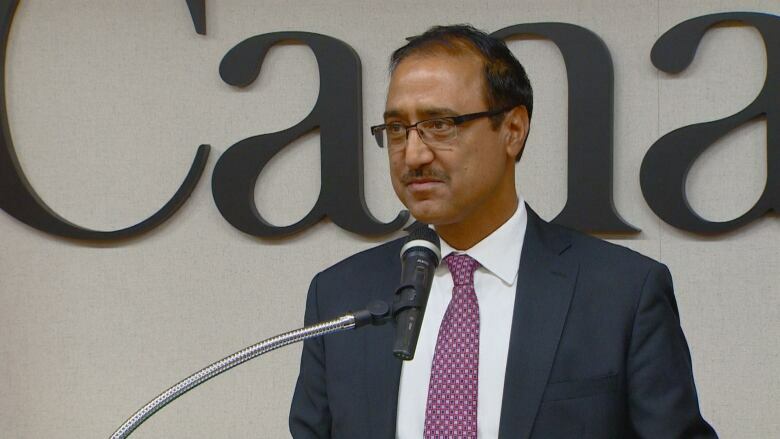 "This is an investment in the future," said Sohi on the third day of meetings between environment, oceans and energy ministers, when asked about the security of the $30 million in taxpayer investment. "This is one announcement, and part of many other announcements that we will be making in order to foster that innovation ... to [tap] the potential that might otherwise go untapped if the government was not there to support it." Stephen Thomas, energy campaign co-ordinator of Halifax's Ecology Action Centre, said in a telephone interview that environmental groups support funding of the various offshore renewable projects — with some cautions. "Providing $30 million in support for this tidal project is still a drop in the bucket compared to the subsidies received by the fossil fuel sector, which receives hundreds of millions to billions annually from the federal government, depending on the year," he said. But he says it's crucial to ensure that the latest project learns from mistakes of the past. "We hope that DP Energy takes seriously the very valid concerns from Mi'kmaq communities and fishers," he said, referring to opposition that arose over the potential risk to marine life from the Fundy turbines. "If this turbine is going to be deployed in 2020 there's a lot of work to do first, in building relationships and improving environmental monitoring." It says the turbine worked after it was after deployed in July and that it's not yet clear when it malfunctioned. "As we fund these projects, we always monitor these programs very closely. We monitor the success of them," he said. During the G7 meeting, delegates also spoke of the emerging potential of offshore wind energy as another option for Canada's coasts. "Offshore renewable electricity generation ... is coming into a space of competitiveness," he said. "We are projecting that offshore ... could actually be cheaper than onshore wind (energy) or solar (energy) by the year 2040," said the energy expert.